treasured and highly admired industry might quit the mobile industry. which would be a huge shift from the BlackBerry of the past. 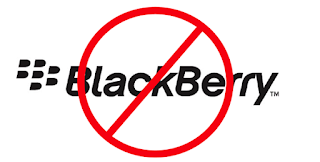 be the last production of Blackberry. in Android quarters and iOS apartment. Hw much u go sell am last?? So if you want to use BlackBerry, then u better go and buy it before it finished in stores. ? Guys, did you get this message from MTN? "Dear customer, thank you for your response. You have been compensated with N1500 for the inconvenience. Thank you for choosing MTN" Hmmm… am scared ooooo. When I checked my balance there was 0.000 naira. AM SCARED!! Na wa for you O! Why you dey fear naa, shey mtn no fit just dash you nii?